Ireland – CRAOL. 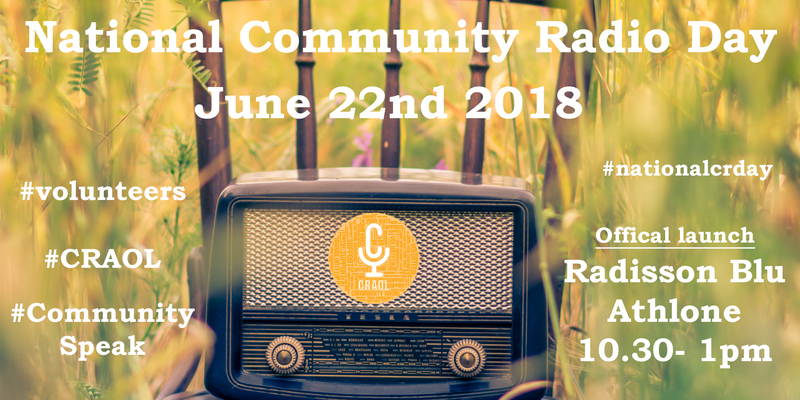 CRAOL is the representative, co-ordinating, advocacy and support group for Irish Community Radio. Every week, across Ireland, 2,000 Community radio volunteers broadcast to 170,000 people in 21 fully licensed stations and many more aspirant stations. The aim of the Community/Speak campaign is to encourage more people to take an active part in broadcasting within and to their local communities and to raise awareness of community radio as the third-tier of broadcasting in Ireland. The campaign will be launched at Athlone Community Radio, which has been on-air since 2008, with a two-hour programme about the role of community radio in Ireland. The programme will recall the historic part which Athlone played in the evolution of radio broadcasting in Ireland. This dates back to 1933 when then Taoiseach Eamon de Valera opened what was described as “the new high-powered RTÉ radio transmitting station,” providing national broadcasting from the centre of Ireland. 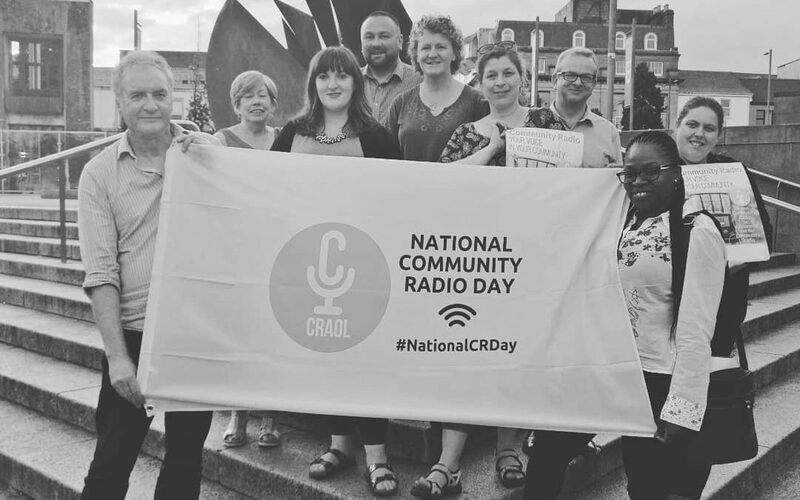 Other community stations around Ireland will also broadcast special programmes to mark National Community Radio Day and encourage new volunteers. “Our focus is to increase interest in radio broadcasting and to encourage more volunteers into broadcasting in all capacities, using the theme – Your Voice in Your Community,” says Declan Gibbons, Chairman of CRAOL. “Community radio is volunteer-led and driven, with the support of professional staff. It is not a competitor to the primary radio broadcasters, but is an additional service responding to the desire within communities to have their own resource to represent, speak for and to themselves and make the type of programmes which would not be possible on stations that must depend on commercial profitability to survive,” he said. CRAOL stations are non-profit, licensed and supervised by the Broadcasting Authority of Ireland and run by voluntary boards. Some stations, but not all, receive POBAL funding support, others fund themselves. The Sound and Vision scheme funded by the television licence fee provides support for making documentaries and radio drama. Local Council and Leader scheme grants have assisted as well as community employment schemes. Last year community stations put over 100,000 local voices on-air. The stations provide wide diversity in programme production and presentation, with news and current affairs and documentaries of community interest. They encourage writers and dramatists in the community, specifically include young people in broadcasting, discuss matters of community interest, record and broadcast sports events.